Some cars are too good to be gone forever. Automotive history is littered with cars we need to Google search for to refresh our memories as to why exactly they existed. But, since the turn of the century, we’ve lost some truly memorable vehicles that have left a hole in car culture and we genuinely miss seeing on the road. Whether we owned them or not, they made the world a better place just by being there and we would love to see them come back. Given the current hunger for nostalgia and the amount of nameplates making a comeback in 2019, we’re actually hopeful a few of these may see production again in the not-too-distant future. 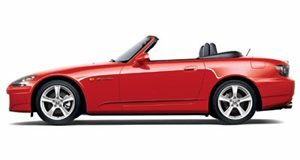 Honda’s S2000 is a given for this list. Reliable, good looking, a superb chassis and an engine that loved to be revved all the way out. Its loss to the world as a production car in 2009 left us with the just the MX-5 as an inexpensive to own and run roadster. The MX-5 is great, but the S2000 was a different animal and one of the joys of the road and track. Rumors have been about for years and, although many have lost hope, we still dream of a new rear-wheel drive Honda roadster. Preferably with the Civic Type R engine under the hood. While powered-up versions of crossovers are fun and technology has developed to help them perform, they can never quite get over the increased center of gravity or roll center. While some sport wagons are still sold here in America, losing the CTS-V Wagon was a real blow. There were V6 engined variants later, but there’s nothing like Corvette ZR1 derived 6.2-liter LSA V8 propelling a car the modern day Griswold family could pack for a cross-country vacation. Yes, you read that right. 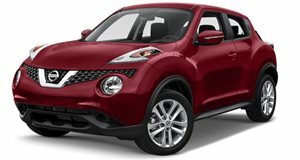 The Nissan Juke is one of the most underrated cars ever made simply because people can’t get over the looks and the fact it’s a crossover. It’s a stupid fun vehicle with the right options, and from inside you don’t have to look at it. Then there’s the hilarious Nismo version that upgraded everything that matters to make a mini high-riding rocket. A Nismo Juke isn’t going to break lap records, but it’s impossible to drive one on a tight road and not get out after chuckling at the absurd fun you just had. 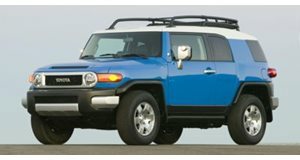 Speaking of underrated, the FJ Cruiser is an off-road monster and as reliable as Jeep fanatics like to think the Wrangler is. The FJ Cruiser also managed to pull off the right amount of retro looks harking back to the original FJ40 without going too over the top. With Land Rover bringing out the new Defender and Jeep giving the Wrangler a fresh and excellent shot in the arm recently, we would love to see the FJ Cruiser make a comeback. While the Golf R is hugely entertaining, we would love to get something with that razor-sharp handling the R32 brought to the table. The level of confidence the R32 inspired as you flung it into corners is a rare thing, and the front-wheel-drive dynamics into a corner and all-wheel drive dynamics firing you through and out again is an intoxicating feeling we would love to experience again in a new generation. We even miss the suspension that's stiff enough to annoy you on a long drive right up until you chuck it into the first corner of a winding road. Going to a different style of hatchback, we also would love Volvo to revive the stylish five-cylinder hatchback complete with its Custom Build program to make it look just how you want. The C30 was not about being sporty, it was about style and, given what Volvo is doing at the higher end of the market right now, we suspect the automaker could really go to town on a new three-door city dweller. What the world’s roads are missing right now is an affordable rear-mid engined car with Toyota level reliability and costs to run. It seems unlikely though as mid-engined cars tend to be complex and expensive to design and manufacture, plus Toyota is about to bring a second sports car to its current lineup already in the form of the Supra. If the MR2 did come back it would mostly likely be all-electric, but we're still not holding our breath. 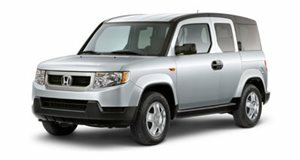 The Honda Element was a wonderfully quirky vehicle that just ignored the sports part of SUV and concentrated on being a utility vehicle. The boxy little hauler had center opening doors on each side with no pillars interrupting the wide opening as well as a truly flat floor you could even mop out if you needed to. What we really miss is how the Element was aimed at outdoors people that actually got their shoes and dog’s paws muddy, rather than just using the outdoor adventure image for advertising purposes. It’s not just affordable no-compromise sports cars we miss. 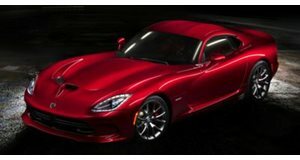 Although the Corvette has the American brute of a sports car segment well covered, the end of the distinctly unhinged V10 powered Viper leaves a big hole in the automotive landscape. Rumors are already circulating of its resurrection but it seems like wishful thinking and unlikely with the current climate of turbos and assistance from electric motors. 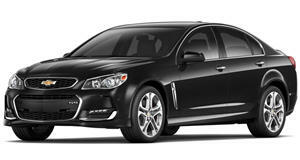 The Chevy SS looked on paper to be a surefire winner for grown-up enthusiasts. Sporty executive sedan looks, four-door family-friendly body, six-speed manual transmission and a glorious 415-horsepower 6.2-liter V8 under the hood that burbled and growled happily. It even had sharp handling and sprang to 60 mph in under 5 seconds. The problem was the SS only came loaded with luxury and a $50,000 price sticker while the Dodge Challenger started for under $30,000. Currently, the Chevrolet Impala hits the right price point but with a 305-horsepower V6 as the high-power option. We would dearly love Chevy to have another crack at the SS, but it seems a tall order with the Impala already struggling in the new crossover world order. We did have the RX-8 after the RX-7 disappeared in 2002, but the RX-8 never lived up to the legend of the daddy of rotary engined cars. The problem is that Mazda is staying in its lane right now with a carefully considered lineup, so the chance of a new rotary sports car in the near future is a very slim one. However, Mazda has clearly been working on rotary engines in the background which, if nothing else, is keeping the dream alive. In the meantime, there’s a big triangle shaped hole in the market where new technology on a revolutionary concept could fit perfectly. 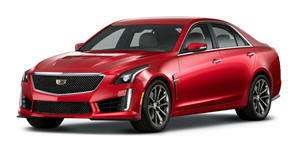 Nissan is currently riding a wave of popularity with its crossovers while the 370Z and the GTR grow old disgracefully. What we think Nissan needs is an entry-level performance car with serious heritage and street cred to bridge the gap to the sports cars. For that job, there’s only one nameplate to fit the bill and that’s a new Silvia platform with the revival of the 240SX name in North America. We even have a feature idea for Nissan to ensure a fresh chapter in the Silvia legend, and that’s to make an option for an electronic locking diff rear diff to play up to its drifting heritage. 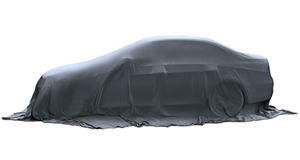 Sure, there will be some accidents leaving Cars and Coffee events, the inevitable viral YouTube video of someone stuffing one backwards into a wall, an insta-ban in Australia for being too much fun, and possibly even a few searching questions from the National Highway Traffic Safety Administration here in America. But, most importantly, Nissan’s reputation amongst enthusiasts would go through the roof. They could even provide a little drill and a packet of cable ties in the trunk's toolkit. Mitsubishi Motors is in danger of fading away after its litany of troubles, but it is also part of the Renault–Nissan–Mitsubishi Alliance. That means there's development money and talent out there to help make a big statement and win back the heart of car enthusiasts with a badass all-wheel drive, turbocharged, rally-inspired road and gravel rocket again. 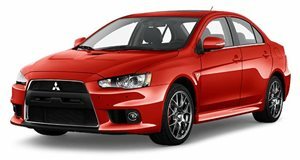 The carmaker would also be entering into a field of competition where the worst it could come is second best against the Subaru WRX STI. We also have a sneaky feeling Subaru isn’t currently making a hatchback version because it wants to avoid the comparison with hot hatches.